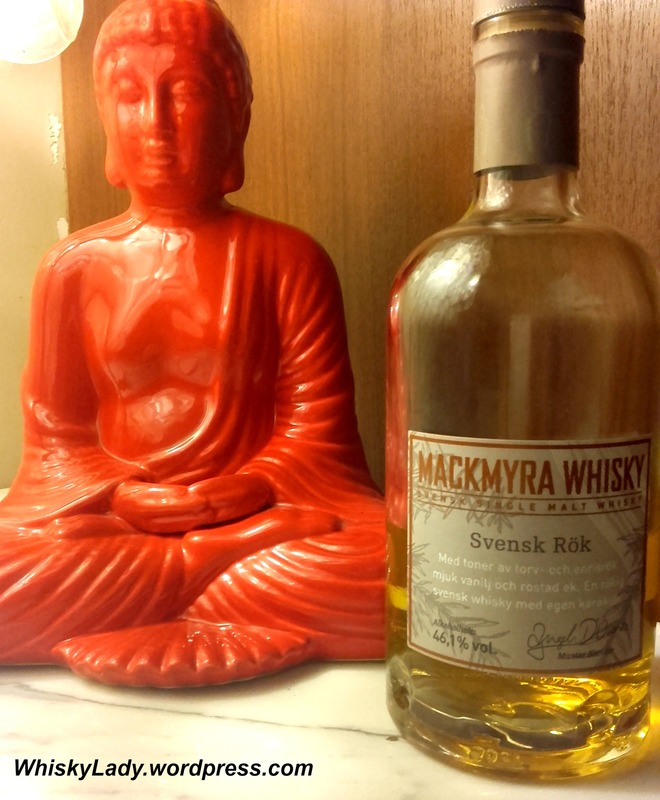 I first sampled this whisky years ago at La Maison du Whisky together with two other Puni whiskies. 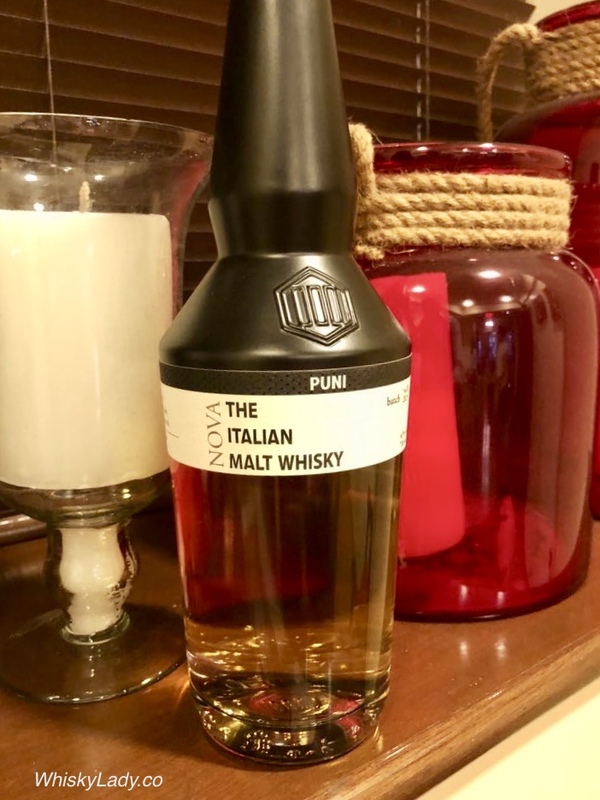 At the time I was hunting for something decidedly “different” for a fellow whisky aficionado and the more daring Puni Alba Marsala + Islay combination was very unique and fit perfectly into my friend’s East to West theme. 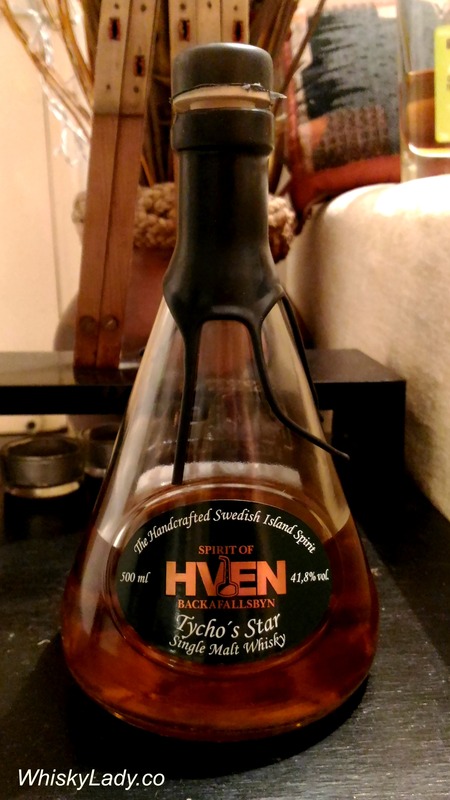 Yet I kept remembering how the bourbon, though initially dismissed, had an interesting quality that drew my sampling companion and I back… So when next I had an opportunity, snagged this bottle and impatiently waited for the right whiskies and setting to open it! Finally in May 2018, with the Bombay Malt & Cigar gents, an evening of European Explorations fit the bill perfectly! And what did we think? There was something unfinished about it and after such superbly and surprisingly enjoyable offerings from Germany (DeCavo) and Switzerland (Swiss Highland), the gents were honestly disappointed. It was not what I remembered from years ago… Perhaps the difference is an open oxidized bottle vs freshly opened? Perhaps I originally had batch 1 and there was variation? Perhaps it was merely the tasting order and comparison. Perhaps it simply needs to be set aside like the first time and revisited. This whisky was purchased for SGD 135 at La Maison du Whisky. Italian whisky? Puni Alba Marsala + Islay 43% – Oh My! 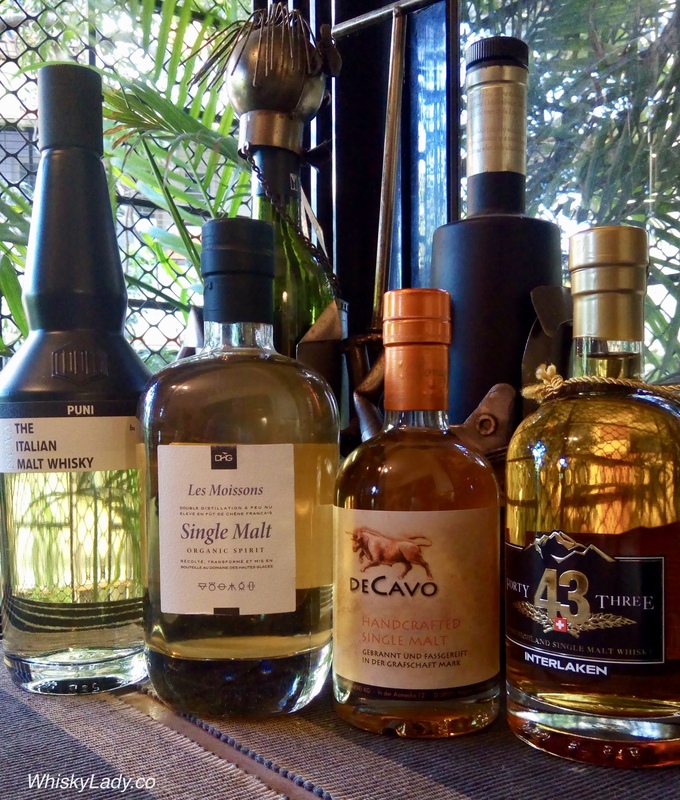 The Whisky Ladies of Mumbai are well on the path of exploring European whiskies… having tried drams from Finland (Teerenpeli), Denmark (Danica), France (Kornog), Germany (Slyrs), Sweden (Mackmyra & Spirit of Hven)… all unique and different from standard Scottish fare. 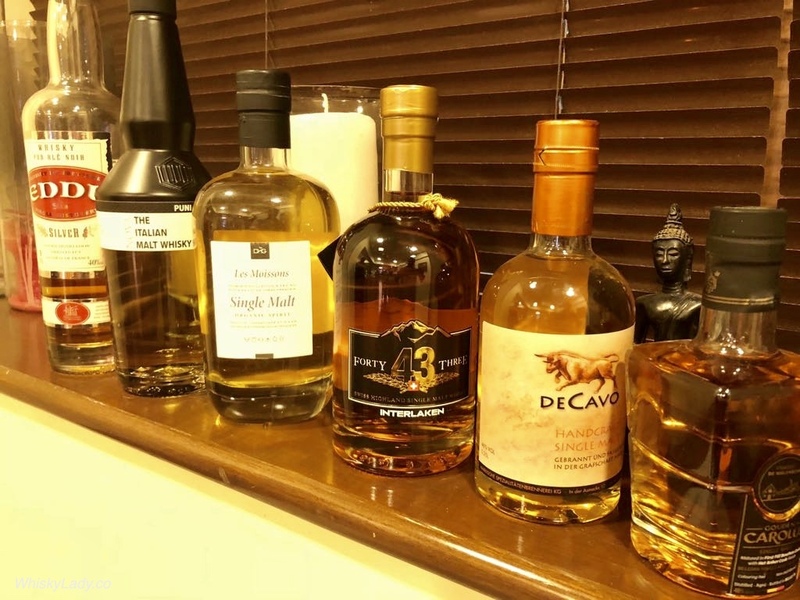 Whereas our original tasting group, with five years of monthly merry malt sampling complete, have only scratched the surface when it comes to whiskies from Europe. In 2013 The Belgian Owl and Dutch All Rye made less than stellar appearances and in 2014, the Czech Hammer Head received a rather firm ‘thumbs down’. 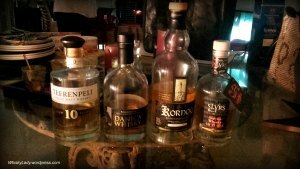 We were due a tryst with European whiskies. Yet after the disappointing drams, anything offered had to 1st pass the ‘taste test’. 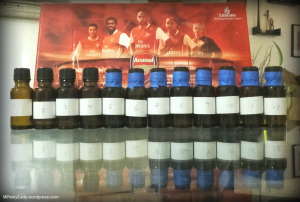 When given an ‘assignment’ to find something ‘different’ by our host for his January 2017 session, my 1st thought was Europe and the 2nd thought was that it simply had to be tried before buying – no leaving the experiment to chance! 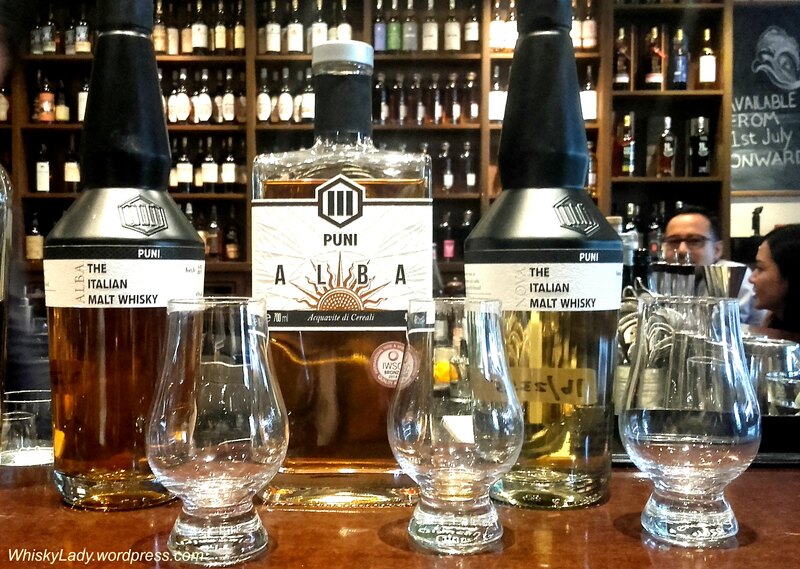 Which is where my August 2016 trip to Singapore came in handy with an opportunity to ‘speed date’ a trio of Puni whiskies at – where else – La Maison du Whisky. Even I wasn’t sure before trying. Italian whisky? Really?! When there is such marvellous Italian wine, it begs the question… whisky? What a different whisky with its ability to have a deceptively soft ‘front’ then delicious spice that sneaks up from ‘behind’. Without a doubt, it had the most remarkable long finish of all whiskies sampled that evening. As we speculated, it was very clear this was not Scottish and quite untraditional in its approach. 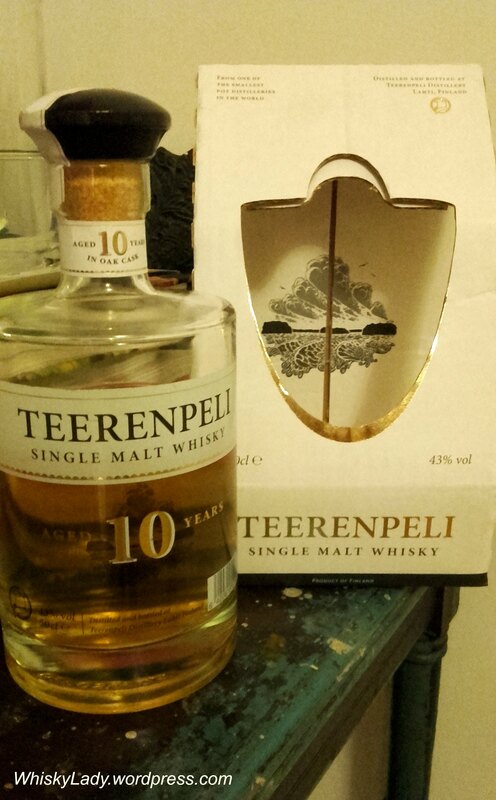 The dry sweetness, soft smooth front then spice from behind, the shy peat that slowly unfurled, the exceptionally long finish… This was a whisky that didn’t neatly fit into clear categories. Our host pulled out the bottle. Italy? Putting it mildly, we were collectively ‘maha’ (greatly) impressed. From the design of the bottle to the quality of its contents. ALBA – the Italian word for dawn, as well as the Scottish Gaelic name for Scotland – is matured for three years in the finest Marsala casks from Sicilly and finished in handselected casks from the Isle of Islay. ALBA is a harmonious combination of the rich & fruity flavours of Italy and the distinctive smoky character of the Scottish island. The interplay between maturation in Marsala casks and ex-Islay peated whisky casks shows such experimentation can bring about quite wonderful results! Our January 2017 host’s theme was a journey from East to West… following a geographic progression from Japan to India to Italy and finally Scotland. Japan – Hakushu NAS 43% – Has the Japanese bubble burst? India – Paul John Bold Batch #4 (2016) 46% – Wow! Getting better and better! It was a fabulously curated collection that shifted in styles and threw in surprises too! Each was sampled completely blind before the reveal. 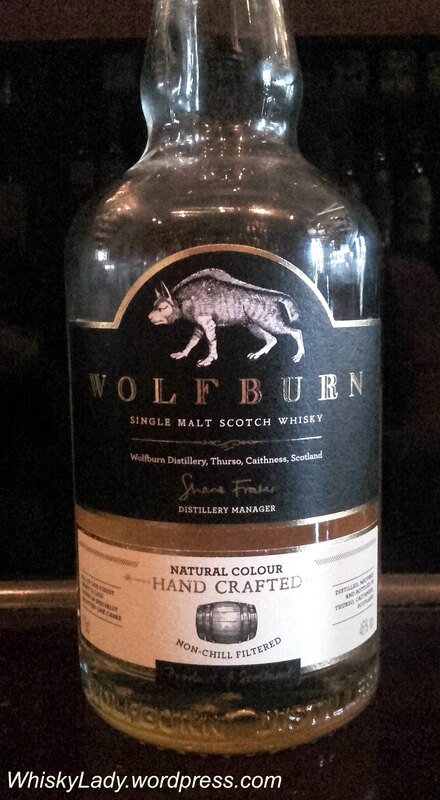 Singapore may be expensive as far as whisky purchasing is concerned, however it never fails to deliver a new discovery. There are some terrific night spots to nip into for a whisky flight (or two) – The Auld Alliance, Flagship and Quaich. There are always unique offerings at La Maison du Whisky. So what did my August 2016 Singapore trip have in store? 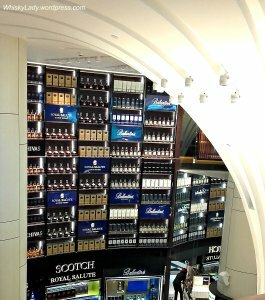 I stopped by early, well in advance of 6 PM ‘sampling’ time to pre-select options more or less under SG$200, less readily accessible elsewhere, not a repeat of any previous drams and could spark conversation from our fellow samplers back in Mumbai. After a bit of careful thought, Priscilla sprung into action and began pulling out a few… checking some possibilities that I declined… to come up with a diverse shortlist. My sampling companion arrived and we began our final selection process by “speed dating” each whisky with quick short nips. Matured in American and European oak casks, initially seemed just grains, flowers, honey and vanilla… relatively standard on the palate. In short, dismissed as not terribly interesting… but after the others, we found ourselves drawn back… then it really began to grow on us… for a young whisky, it has something quite enjoyable and attractive for a lighter dram. Limited edition, uses barley, wheat and a locally grown rye matured from six months to three years in oak barrels that previously contained Sicilian marsala, Pinot Noir from South Tyrol and Zibibbo from Pantelleria. And the result? Interesting, definitely interesting, but also oddly schizophrenic… simply didn’t seem to know what direction, here there or where? Was it a light romp or storm the bastions? No balance between the sweet and spice elements like a cocktail with too many ingredients. Matured in Marsala and Islay casks, initially attracted attention – quite different with its pronounced cloves, range of fruits, peat, tobacco and nuts. 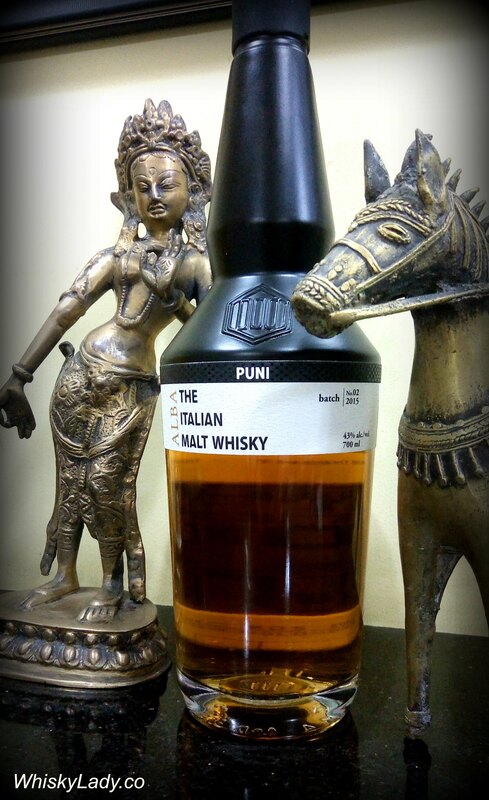 However like a one trick pony, we kept waiting for more… then reached back to the Puni Nova as the more drinkable dram! Eager anticipation, I took the first few whiffs…. and sip… And had the opposite reaction. 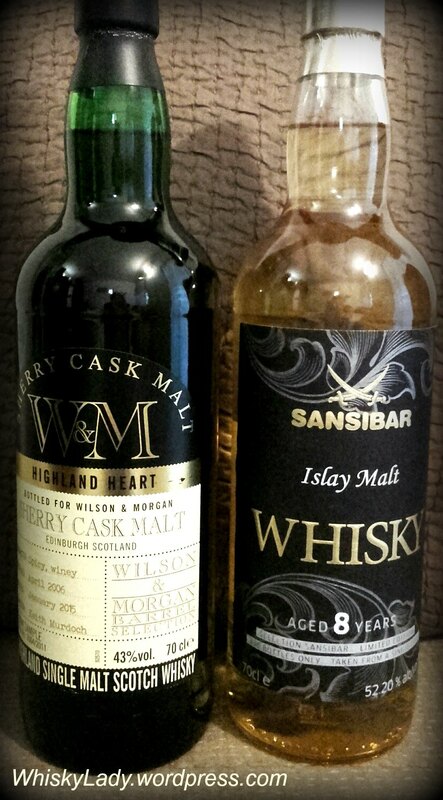 Sansibar are new independent bottlers from Germany and a first for me! Unlike some who disclose minute detail about the cask, here the approach is different sharing only that it comes from a single cask, aged 8 years (2007-15) with 330 bottles…. and the rest? Up to you to guess! 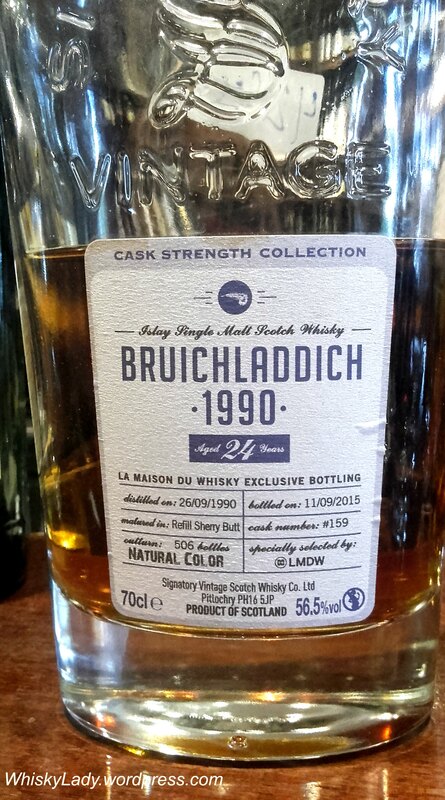 Compared it with the distillery official bottling – no doubt which WE preferred! This one was thrown in as a courtesy to let me try as a bottle was not available for purchase. Yes there is fruit, nuts, hint of peat, quite intense with lots of promise but not there yet – a bit ruff, gruff and certainly not balanced. 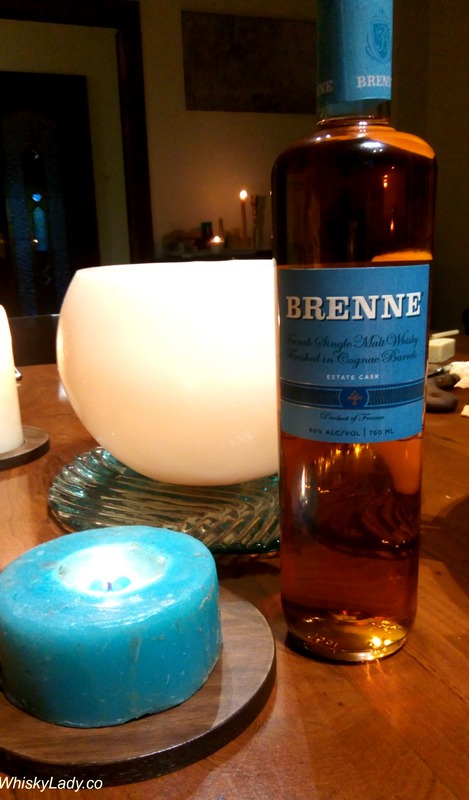 Small Batch 50% – What a change to shift gear to a rye! I’ll admit I’m neither a bourbon nor rye aficionado, however for this style, was a rather good example. 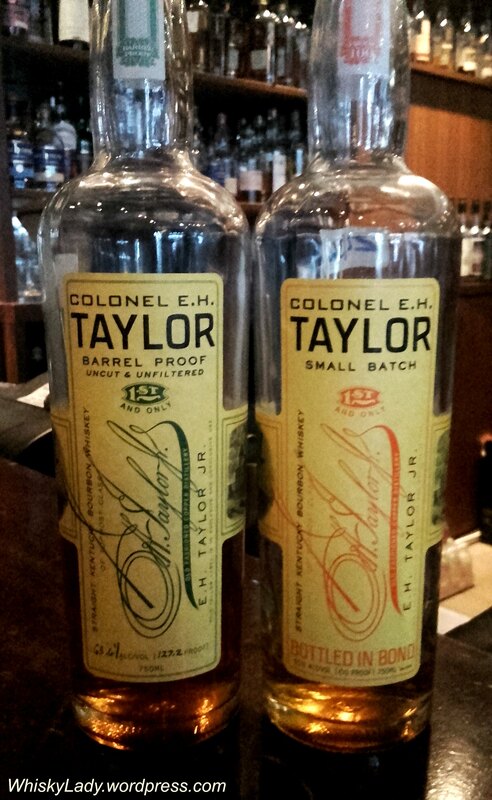 Barrel Proof 63.6% – Packs a serious wallop! As in galloping head on into all senses, firing all cylinders. Yowza! 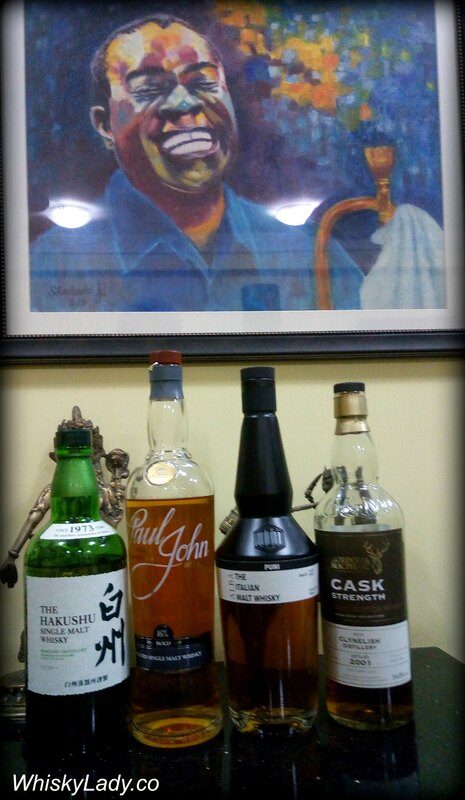 However the Kavalan selection was tempting with a Sherry cask strength for less than SG$100. And a new Kavalan Peaty Cask – matured in a cask which previously held a peated whisky for SG$175. What made the final cut for purchase? You will just need to be patient til one or more whiskies sampled make it into a focused tasting session. Jan 2017 – The Italian Puni Alba was a hit with the original tasting group!